Today TechnoGiants comes up with another giveaway for our readers. This time Ashampoo has kindly donated 10 licenses for its excellent Ashampoo ZIP Pro for us to give away to our subscribers. This is the very latest Ashampoo ZIP Pro version 1.0.0, so new that it is just officially released on February 2nd, 2015! Today usual work together professionally or share your files online. We need to occupy little without losing information, and encrypt certain situations so that nobody can snoop on your content before uploading them to the Web. As you knew already that there are hackers, spyware, and malware lurking in every corner of the Internet, so it is really an important task for us that we take care to preserve the integrity and security of our data. However, there is a lot of compression formats, and sometimes difficult to handle all of them, or merge data from different archives. Ashampoo ZIP Pro is a file manager which goes far beyond simple compression and decompression of files. With this application you can encrypt files, repair, upload them to the cloud, convert between formats, create virtual drives, merge or split into volumes, and more. Whats more, it has really a simple and friendly interface. Ashampoo ZIP Pro works on any computer such as Windows XP, Windows Vista and it is optimized for Windows 7, Windows 8, Windows 8.1 and Windows 10, it integrates into Windows Explorer and its interface works equally well on a monitor using mouse or touch screens. It requires only 220 MB of hard disk and it has several different skins which we can use. The main screen of Ashampoo ZIP Pro contains all functions. It is divided into three major areas: Applications, Archive and Tools. Ashampoo ZIP Pro goes far beyond simple file compressor. You can also organize and protect your data in different ways, depending on your needs. From the Applications section, you have the option to encrypt and decrypt files. Use the powerful strong encryption AES 256-bit, and also supports ZIPX and PAE. It allows you to create password policies and profiles, and manage OpenPGP keys. If you handle official business records or Ashampoo ZIP Pro is ready to sign and encrypt Office documents and PDF files. Need mount or create ISO units? Ashampoo ZIP Pro can do without burn files to CD or DVD, through a virtual drive stored on the hard disk. Finally, Ashampoo ZIP Pro includes the option to upload your compressed and encrypted (or not) files to the cloud with one click. There will not occupy space and remain safe. Also you can share. It is compatible with all major stores in the cloud as DropBox, OneDrive, Box, Google Drive, Amazon S3 and Azure. With the ZIP Scripts function you can create batch jobs to work with your data and organize them automatically, even when you’re at the computer. It is even able to upload files to the cloud, encrypt or compress a certain folder. The yellow icons allows you to operate your files. You can compress a group of files into multiple volumes or otherwise remove them from several volumes. It is also possible to repair damaged to get off the Internet, or come from a hard drive in bad shape files. In addition, Ashampoo ZIP Pro converts between different formats if you possess data from different sources and would unify. Or substitute a format that compresses little else that makes it much better. It supports most popular algorithms compression market as LZMA, JPEG, PPMd, BZIP2, XZ, WAVPACK, ZIP, 7-ZIP, CAB, TAR (TAR TAR.GZ, TAR.BZ2, TAR.XZ) LHA, RAR, ZIPX, ARJ, ARC, ACE, MSI, NSIS, CHM, DMG, RPM, CPIO, VHD, XAR, LZMA, LZH, SquashFS, CramFS, Z, ZOO, WIM’s ISO (ISO9660 and UDF), and many more. This section is intended to create compressed files in the format you choose. You can also open them to extract what you need, repair, remove, and additional functions. You may create self-extracting archives. You can try right now the full version of Ashampoo ZIP Pro for 40 days free. If you like, you can always purchase it for a price of $29.99. How to Get Free Ashampoo ZIP Pro License Code? Thanks to Angela Woisch from Ashampoo who provide 10 license code for TechnoGiants readers and BEST OF LUCK to all the readers for the giveaway. I use the free version now, but I wouldn’t mind getting the PRO key. Thanks guys for doing this. Ashampoo is the best of program. Thanks for the giveaway i like a good zip software i use Bandizip at the moment but would like to win and try this. Cheers. Compress, encrypt and backup your important data with full set of powerful tools. Ashampoo zip pro is the only program that reads all encrypted ZIP archive and repair damaged ZIP archives. Already subscribe and share the giveaway! Ashampoo is great tool compress eed the large files. It looks great tool for compress and many many more. Nice giveaway!TY!I like Ashampoo software. Great giveaway. Would love to win this to join the rest of my Ashampoo products. Thanks to TechnoGiants and Angela for this opportunity to win Ashampoo ZIP Pro. I do know that Ashampoo develops very good reliable software, so this should be no exception and i would love the opportunity to win this new player to the compression software game. On a side note TechnoGiants, great website, and thanks for allowing users the optional steps. 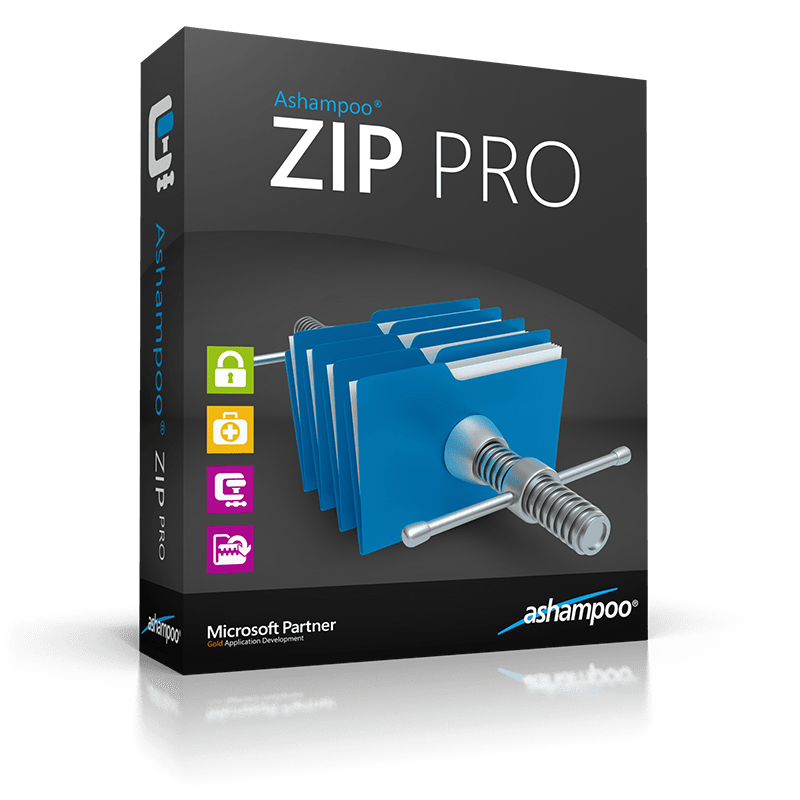 Ashampoo zip pro extract multiple archives and convert multiple archives from one type to another. thanks for this contest, Ashampoo ZIP Pro comes with zip repair feature very useful o repair broken archives. Awesome software for compressing and uncompressing files . Ashampoo zip pro is one of the best and Thanks for the giveaway.